You are an important part of the Acadia community—your thoughts, ideas, and personality matter here. Beyond the ivy-covered academic buildings, awesome residences, incredible sports facilities, and renowned natural environmental research and recreation areas, you will find an international student body, small classes, top-level research facilities, award-winning professors, and supportive alumni—all waiting to help you take your place in the world. 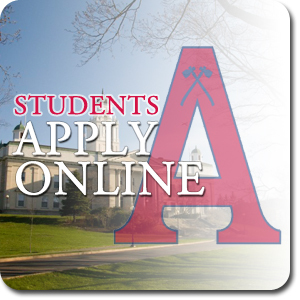 Founded in 1838, Acadia University has a long tradition of academic excellence and groundbreaking innovation. Although our offerings are many, our small size necessitates working across disciplines and including both undergraduate and graduate students in important research. You will contribute to the outstanding reputation Acadia enjoys—consistent top-level rankings by Maclean’s and top marks in the Globe and Mail’s Canadian University Report Card. In return, we know that a liberal arts education from Acadia will prepare you for the complex world ahead.